Nominate somebody for the good character award. A worksheet to help teach character education or character counts. 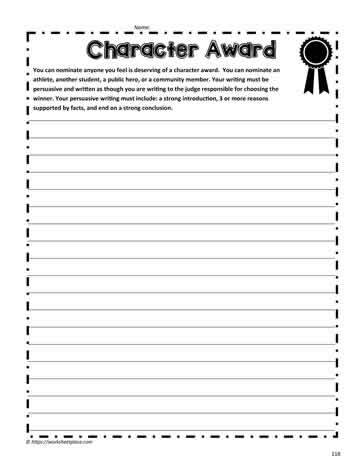 Write a persuasive letter to the judge about why somebody should get the good character award.